Who singles out Israel, its critics or its apologists? Israel and its supporters often accuse supporters of Palestinian rights for unfairly singling Israel out for criticism. They suggest that with so many abusers of human rights around the world, the focus should be on them, with some suggesting that once all the other abusers have been dealt with then they might accept some criticism of Israel. Their reasons for singling Israel out for special treatment are that it is the “‘only democracy in the Middle East”, with “most moral army in the world” and the “only Jewish state” struggling to exist in an unstable and dangerous Middle East. Just look at Syria, Iraq, Libya and Yemen they say. The Assad regime has killed hundreds of thousands of its own citizens and the so-called Islamic State has slaughtered Muslims in their thousands in Iraq, Syria and Libya and continues to terrorise peaceful civilians around the world. To support their claim further, they refer for example to the United Nations Human Rights Council which they argue has an “unbalanced focus” on Israel when it comes to human rights abusers. In 2007 Alejandro Wolff, deputy US permanent representative at the United Nations, accused the council of “a pathological obsession with Israel”. Even the UN Secretary-General Ban Ki-moon joined Western nations on Wednesday in criticising the world body’s own Human Rights Council for “picking on Israel” as part of an agreement on its working rules. The council had decided to include a permanent item on its agenda specifically considering Israel’s action. Israel’s supporters have recently added the Boycott, Divestment and Sanctions (BDS) movement to their examples of Israel being singled out for boycott. Some, including former UK Justice Secretary Michel Gove went as far as calling the BDS movement anti-Semitic and worse than Apartheid. In recent months, the UK’s Labour Party was hit with claims of endemic anti-Semitism in its ranks, not because members had demonstrated hatred towards Jews because they are Jews but because they criticised Israel. Some demanded that a new term is adopted, “new anti-semitism” which they attributed to criticism of Israel. This was not endorsed by Labour’s inquiry into anti-Semitism, led by Shami Chakrabarti. Let us consider the reasons Israel’s supporters give for singling it out for special treatment. The claim that it is a democracy is partly true. It offers a five-star democracy for its Jewish citizens but an inferior two-star democracy to other non-Jewish citizens. Its five-star democracy extends to those Jews residing illegally in the West Bank and East Jerusalem settlements but not to the Palestinian population residing in the same geographic area. 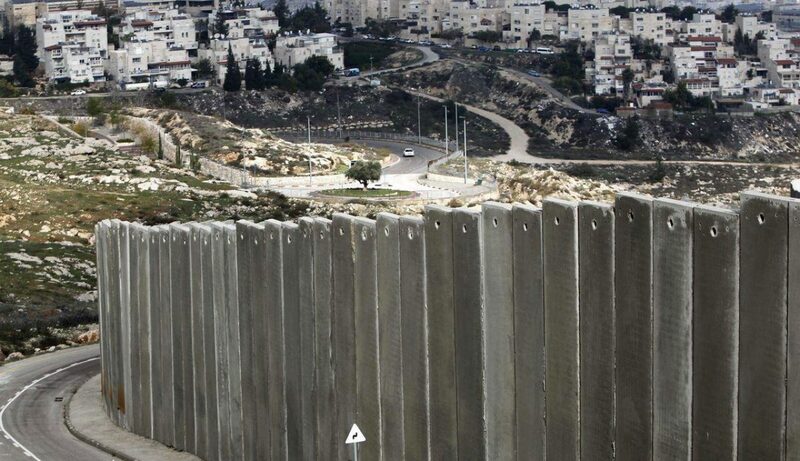 Israeli settlers live under civil Law while Palestinians live under military law. Furthermore, Israel passes the democratic rights of Palestinians under occupation to its convenient invention, the Palestinian Authority, while effectively controlling every aspect of their lives. Therefore, the claim that Israel is a democracy is a fallacy. The claims of the morality of its army hardly stands up to scrutiny. It claims that during major attacks on Palestinians, it uses smart weaponry that reduces civilian casualties. However, a comparison of fatalities on both sides shows a hugely disproportionate number of civilian deaths on the Palestinian side when compared with Israelis. In recent months, the Israeli Defence Force has executed Palestinians at checkpoints for alleged attacks and inflicts unbelievable suffering on the Palestinians in Gaza. The IDF carries out “operations” in the area designated “A” under the Oslo Accords, which it is not meant to enter. It also regularly mistreats the Palestinians it detains and abducts children from their beds in the early hours of the morning. It detains Palestinians under administrative detention without charge for indefinite periods. There is no question of the IDF being considered a “moral army” by the Lebanese people who endured an occupation and several wars that brought them into close contact with the IDF. The morality of the Israeli army is therefore another fallacy. The last claim, that Israel is the only Jewish state and that it is singled out because it is the “Jewish homeland’”assumes that Israel’s critics en masse or a substantial proportion are simply anti-Semites. Supporters of Palestinians who campaign against Israeli policies do so because of Israel’s misdemeanours, not because it is the “only Jewish state”. Many Jews around the world did not ask for it to be created and do not accept that Israel is their state or speaks on their behalf. Take for example the reaction to Benjamin Netanyahu’s call to French Jews to emigrate after the attack on the Charlie Hebdo paper. He was told in no uncertain terms by French Jews that this was not a welcome intervention. The claim that Israel is somehow targeted because it is the only Jewish state is a further fallacy. If the claim that Israeli is singled out for criticism is over-exaggerated, do its supporters and apologists single it out for special treatment? Consider the US for a start. Its support for Israel is not comparable to support for any other state. The US funds it to the tune of $3 billion per year. It wields the UN Security Council veto for no other state even when a resolution comes to condemn settlements, which it has consistently considered illegal or to request the setting of a date to end the occupation. Various states have moved to introduce legislation to effectively ban boycotts of Israel, which are being introduced to protect only Israel. Senior US politicians make regular appearances at conferences organised by the pro-Israel lobby, attempting to outdo each other in their love and support for Israel. This charade only applies to Israel. The EU refuses to suspend its EU-Israel Association Agreement, despite it consistently violating human rights. Israel is a member of the European football federation, UEFA, despite no part of its territories being in Europe, racism being endemic in Israeli football and it hindering the development of Palestinian football. Israel is a member of the Eurovision song contest, an “honour” not bestowed upon other non-European state, including Palestine. However, more seriously, Israeli academia is a regular winner of funding from the EU’s research funding under Horizon2020 despite its complicity in Israel’s occupation. The UK is particularly guilty of singling Israel out for special treatment. It continues to promote trade with Israel, particularly in arms, despite Israel’s occupation and repeated wars on other states and horrific attacks on Palestinians, especially in Gaza. Britain’s Conservative-Liberal Democrats coalition changed the Law on Universal Jurisdiction to protect Israeli officials accused of war crimes from being arrested to answer for their possible crimes. The coalition did this for Israel and no other state. When this change was found wanting, British officials cleared the diary of a Foreign Office minister to meet suspected war criminal Tzipi Livni, who was on a private visit to the UK to provide her with diplomatic immunity. They did this only because Livni is Israeli. The above illustrates that when singling out takes place it is by supporters of, and apologists for Israel. If Palestinians are accused of singling Israel out then they have every right to do so. Surely, apologists for Israel cannot really expect Palestinians to campaign for solving all the world’s ills before turning their attention on their occupier and oppressor. – Kamel Hawwash is a British-Palestinian engineering professor based at the University of Birmingham and a longstanding campaigner for justice, especially for the Palestinian people. He is vice chair of the Palestine Solidarity Campaign (PSC) and appears regularly in the media as commentator on Middle East issues. He runs a blog at http://www.kamelhawwash.com. He writes here in a personal capacity.